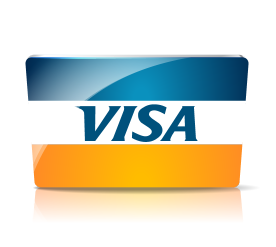 Visa is one of the largest providers of payment cards of any type, and the company has a great reputation for safety and user friendliness. As far as prepaid cards go, Visa is a safe and reliable choice, and the company offers a whopping 33 different prepaid card options. Which one is the best for you will depend on how you are planning on using the card and how much you are planning on using it. Once you have decided on and ordered the card type that fits you best, you can start depositing money into your card. The first thing you need to do is activate your card. This can be done either through the website where you ordered you card, or through a phone service. After the card is activated, you can make deposits as you see fit. It’s possible to set up direct deposits for both pay cheques and government benefits, so that they will load automatically into your card. If you don’t want to use a direct deposit, you can also load up the card by visiting a participating retail location, where you’ll be able to pay in cash to load money into your card. 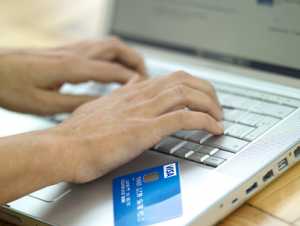 The last option is using other bank accounts or cards to transfer money online, directly into your card. Once you have deposited your desired amount into the card, it will be ready for you to make purchases in stores and online. The Visa prepaid card will be accepted at all locations that accept traditional Visa debit cards. Once you’re ready to deposit more money into the card, you can do this at any time through one of the aforementioned options. A prepaid Visa card can also be used to make payments online, meaning that you can easily, very quickly, and with relatively low fees take care of most of your financial tasks with this type of card. In addition to this Visa also offers a Purchase Security, which means that you can shop with the utmost confidence, as eligible stolen or damaged items can be replaced, repaired or reimbursed within the first 90 days after the purchase was made. Of course there are several stipulations connected to this Purchase Security, but it’s a nice little “insurance” to have. Visa also has a Zero Liability Policy, meaning that the customer will not be held responsible for any unauthorized transactions made with the Visa prepaid card. This policy covers the customer if the card gets lost, stolen or used in a fraudulent way. Again, stipulations apply and exact details will depend on several factors, such as country of residence and type of transactions made.